Will fans ever get a Scream 5? How about a Scream 5 … and 6? In a recent interview with Entertainment Weekly, Neve Campbell, star of the Scream franchise, and Kevin Williamson, who wrote installments 1, 2, and 4, recently shared their thoughts on the legacy of the series and if it could ever continue. Williams states that while writing Scream 4, he and the late Wes Craven discussed a part 5 and 6. Wes and I, when we were starting Scream 4, we had plans for Scream 5 and 6 … Now without Wes, I feel like you have to sort of answer the questions of how and why, and I don’t know how to do it without Wes and I don’t know why to do it. And he may be right. The loss of the legendary filmmaker is still heavy in all of our hearts, and it would be strange to see a film in the franchise without his name attached to it. Williams, conscious of this, does not know if he could do it…but what about someone else? What would the film even be about? The question is a reasonable one. If some filmmaker could answer that question, then go for it and I will happily buy a ticket and go see it and cheer it on. Campbell seems a bit more enthusiastic about it, however hesitant she may be. Personally – and this may be a very controversial statement – I would love to see a Scream 5. 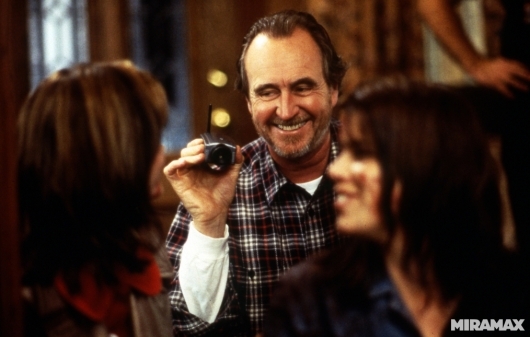 The franchise is one of Wes Craven’s greatest legacies, and a thoughtful, intelligent film would be a moving tribute to the man. What about you? Would you like to see another film? Or do you even think there should be another film?